In a major contribution to advancements in helicopter safety, Honeywell (NYSE: HON) Aerospace has completed successful testing of a newly designed Synthetic Vision Avionics Backbone (SVAB) that enables helicopter operators to integrate multiple types of sensors with Honeywell’s Synthetic Vision System to provide pilots with a 3-D view of the outside world in degraded visual environments (DVE). Testing was conducted on a Blackhawk helicopter as part of the Defense Advanced Research Projects Agency (DARPA) Multifunction Radio Frequency (MFRF) program. “In addition to giving pilots a dramatic tactical advantage when operating in brownout or whiteout conditions, moving this technology forward means increasing operational safety for our warfighters,” said Howard Wiebold, manager of business development, Honeywell. “It increases the number of missions and types of missions commanders can accomplish by simply enabling pilots to fly safely in previously deterred space. “The system accurately detected obstacles, terrain and power lines, and displayed them in a realistic 3-D view on the current cockpit displays. And while this particular test was done on a Blackhawk, the intent is make this sort of technology available for any number of current and future military helicopter platforms, including Future Vertical Lift platforms,” Wiebold said. DVE presents a significant challenge for helicopter operators in both the military and commercial sectors through all phases of flight, but especially during landing and takeoff. 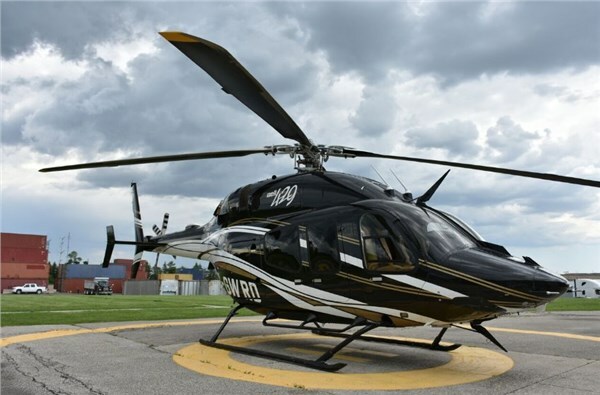 A recent Department of Defense report stated that nearly two-thirds of all helicopter accidents can be attributed to loss of situational awareness and the inability to detect obstacles such as power lines and wires. “This test brings us another step closer to enabling pilots to see in degraded visual environments. It represents a high point in DVE achievement, resulting from several years of ‘backbone’ technology development, combined with our FAA-certified synthetic vision product used in business and general aviation,” Wiebold said. “While the U.S. Army CH-47 Chinook and UH-60 Blackhawk appear to be near-term platforms for implementation, the ultimate aim is to give military operators — the broader U.S. Army, Navy, Marine Corps and Air Force, coupled with NATO allies and commercial operators, flexibility in adopting synthetic vision-based offerings with different sensor packages appropriate to each customer’s needs,” Wiebold said. Testing confirmed the ability to register and integrate multiple types of data including real-time millimeter wave sensor with pre-existing precision terrain data into the backbone for a realistic visual rendering of the outside environment, giving pilots the most up-to-date information available.